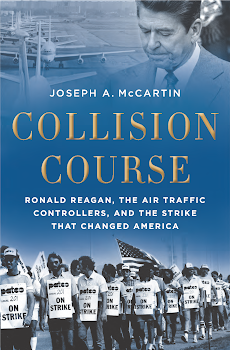 Among the most difficult things that striking air traffic controllers faced in 1981 was the prospect of prosecution for violating the law and leading a work stoppage against the United States government. In the book, I wrote this about the emotions that one controller's family felt in confronting this prospect: "As the clocked ticked down toward the strike vote, many tearful conversations took place in controllers' families. 'Daddy may even have to go to jail,' the wife of one Vermont controller told her children. If he did, they should not 'be ashamed,' she said. Instead, they should 'be very proud of him,' because if that happened it would be 'for a great cause.'" I have just started your book but find it already haunting. While I am only one of the many controller fired in 1981, I and my family experienced what only a few did. I was one of what was called the Oklahoma City Five. Ron McCubbin, Bud Eastman, Steve Jacks, John Nelson and myself were arrested and went to court for our actions on that Aug. 3rd day. Our facility chief Mr. Scroggins lead the federal marshals to our homes for the delivery our court papers. My seven year old son was questioned by the FBI in our home. I have had five occupations since and fortunately have a livable retirement, one thing I thought I would never have after that eventful day. I can say I lost the most loved occupation I ever was part of, nothing has come close to the passion I had for controlling air traffic. 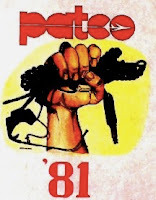 I remember the 1980 PACTO Convention in Las Vegas and the battle between Bob P. [Poli] and John L. [Leyden] I was at the 1981 Convention when I was notified of my father’s death in a farm accident. I can say that the winter of 1982 was not an enjoyable time. Being an avid reader today, had I known then what I know now, I probably would not have been as active as I was. We were led to the slaughter for one reason, to break unionism and no one will ever convince me differently. I look forward to finishing your book, I still carry my PATCO union card, carry one of one hundred money clips with the PATCO logo on it and have hung my framed legal papers. I have a limited copy drawn by Wes Cloud, a fellow controller, depicting the arrest of the Norfolk Tower President. I have since finished your book. A great account, I knew at least 75% of the personalities in it, and at sometime or another had a totty or so with some of them. I am giving each of my children the book for Christmas along with their "Ronny fired my daddy" PATCO "T" shirts kept over the years past.... Thanks for respecting the dedication some many of us had for an occupation not many can do. Have a great Holiday Season, thanks again.